An ambitious yet casual neighbourhood restaurant with a regularly changing menu of European Dishes. Very attentive staff. Was quiet as was Easter weekend but this just meant we were looked after even better. The set menu for the evening was great, and still had a couple of choices we could add. We ended up trying the whole menu! A superb dinner - the intelligence and warmth of service matched by the beautifully sourced and prepared food. We will be back. Food was very good and I thought excellent value for money. Food exquisite, service perfect. Couldn’t fault the evening - we will be back! What an excellent place! The front of house team are super-friendly, knowledgeable and very attentive without being obvious. The food is sublime and every dish has an amazing array of tastes. If you haven't visited then you should do! Our meal was delicious. Really enjoyed it and will definitely be back. It could have been a little warmer in the restaurant but other than that it was great! The food was amazing, as was the wine pairing. I’ve waited 10 years for a restaurant like this to open in the area. The only thing that really detracted from the experience was that the restaurant was cold and I had to wear my jacket during the meal. Otherwise it was a lovely evening and I look forward to returning soon. Such a fabulous evening. Great food and service and all round experience. I had called up before and the restaurant was extremely accommodating of the fact we were booking with a baby, giving us a spacious private room at the back that would also be perfect for parties. The food was exquisite - every component on the plate of excellent quality and great flavour. There was detailed explanation of all our dishes on arrival for each course, which I loved. The service was of high standard yet also allowing us to feel relaxed, which was perfect. Great food. Served a little quickly for a tasting menu and servings are probably a little on the small side. Overall the food however is creative and delicious and the wine menu is varied ensuring all bases and tastes are catered to, and priced exceptionally well. Will definitely be back. We have just moved to the area and are so happy to have such an amazing restaurant within walking distance, divine food and sublime wine, will be back often! Delicious innovative menu and lovely attentive service. We will be back! Everything was really nice but the dessert we had (chocolate one on the menu and buttermilk one the chef made for us especially) were not so nice. I thought Miso and Chocolate are not good combination. If there is no ginger cream in buttermilk, I would have loved Butermilk dessert. Though overall we had a great time. We are sure we will go back. Another lovely evening at the Black Radish. Delicious tasting menu and lovely wines. 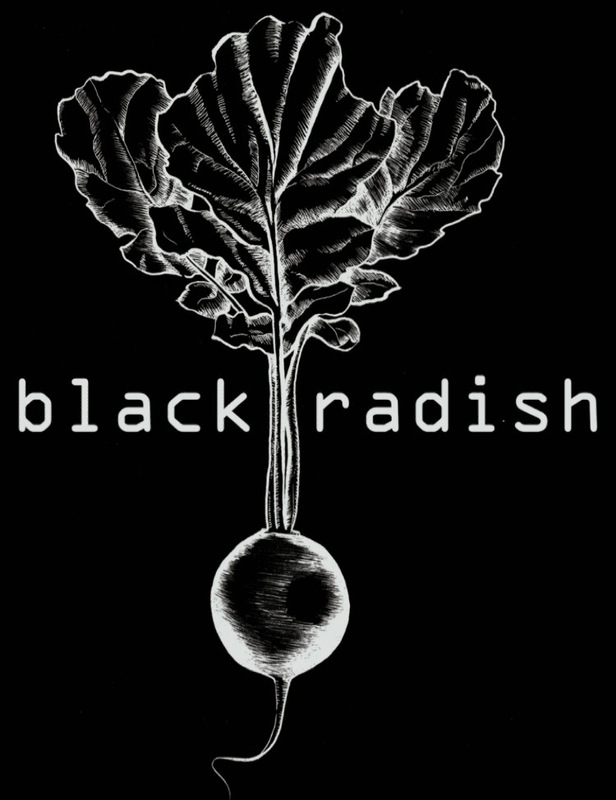 The Black Radish have also supported Shooting Star Children's Hospices with a voucher for our Charity Fashion show raffle on 28th March 2019 at Clarendon Gallery. Very generous - thank you. Lovely Saturday lunchtime. Fabulous food and great service. We loved our evening with you. Your tasing menu was exactly as I like it, so delicious, each course so different and a wonderful surprise. Your waiters are superb. Yet again fantastic meal, as well as service. True Gem in Wimbledon. We'll be back! We love visiting your restaurant the staff are particularly lovely and atmosphere great !! The food was outstanding - loved the truffle arancini as an extra dish from the chef at the start, and then the cured sea bream with blood orange etc was just delicious. Could eat that every day of the week. Lovely service and great buzz about the place too. Really innovative and excellent service. Very good service. Love this place. Tasting menu was wonderful, creative and so tasty.